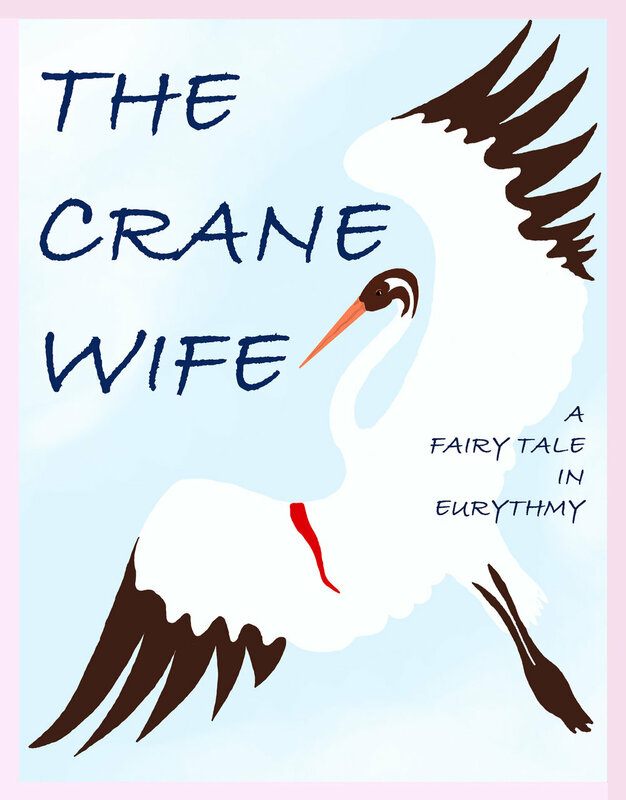 Below are the texts, music and forms for a number of eurythmy fairy tales and stories. Feel free to use them with credits. The forms are 'first round' versions, later they were amended as needed, but no record was kept of the final outcome. Further items of possible interest to eurythmists are below. Originally written in verse form for kindergarten this tale was repurposed and performed by the Vancouver Waldorf High School Eurythmy Troupe back in the mid 1980's. Then the setting was converted to the American Wild West and performed by the 2008 graduating students from Rudolf Steiner College eurythmy training. A few years later in 2012 the eurythmists in Portland, OR, were in need of a ready-made tale for 8 at short notice and this one fit the bill. Run time is about 20 mins. Text and Choreography: Reg Down. Music: Liliya Pachuliya. Poster: Jazmin Hicks: available on request. Performed by Portland Eurythmy for their 2015 season, this Russian tale is traditional in style but has deep waters which relate, in my opinion, to what Rudolf Steiner called the future sixth epoch. Run time is about 20 mins. Text and lighting and Choreography: Reg Down. Music: Mary Sutton. Poster available on request. Originally performed by the Vancouver Waldorf High School Eurythmy Troupe in 1987 or so. Fresh music was composed by Liliya Pachuliya in 2009 and the tale performed by the graduating group from Rudolf Steiner College eurythmy training in 2010. Run time about 30 mins. A sad, hauntingly beautiful Japanese tale, often performed in puppetry. This was the graduating story of the 2006 Rudolf Steiner College eurythmy training. For 4 eurythmists ... yes, it was tight at times, so 5 or 6 would be better! Run time about 25 mins. Text and Costumes/Staging: Reg Down. Music: Liliya Pachuliya. The forms are not to be found. Poster available on request. For those interested in the spiritual aspects of the arts I have translated Rudolf Steiner's The Being of the Arts. This tale, told in 1909, has lost none of its originality and vividness. It is as relevant and powerful as when it was first told. It presents the reader with a series of images and beings drawn directly from the spiritual world, but in such a way that, through art, a bridge is built between the spiritual and earthly worlds. Anyone who likes color tales and color poetry might like this chapter from The Midsummer Mouse, in which Tiptoes meets the Sunset Angels. Also, the short story, Lilac lived in Lala Land, might be of interest. ADAM'S ALPHABET: Eurythmists, and those interested in a view of language informed by an anthroposophical view point, might find Adam's Alphabet, interesting. It is a literary journey through the alphabet in imaginative form, touching on the outer and inner aspects of each 'letter-sound'. Even though I have been aware of and have worked with the sounds of speech in eurythmy for decades, I was surprised by what revealed itself when I used the alphabet as the basis of a continuous tale. The alphabet is not at all random ... which eurythmists know ... but to see its finer structures! The English alphabet is a little tattered and beaten up from all the various linguistic streams flowing into it, but still, within the tattered coat there is no tramp but a being quite extraordinary. The Dance of the Planets Here is a translation of Rudolf Steiner's poem, The Dance of the Planets. The translation adheres to the rhythms of the original. Steiner made a 'simple' form for this piece; see The Elements of Eurythmy - possibly also The Birth and Development of Eurythmy. Eurythmy Canada: For Canadian eurythmists: I have built a website to interface between the public and eurythmy called Eurythmy Canada. If you live in Canada and are giving courses or performances, please let me know and I will add it to the site. Thank you.